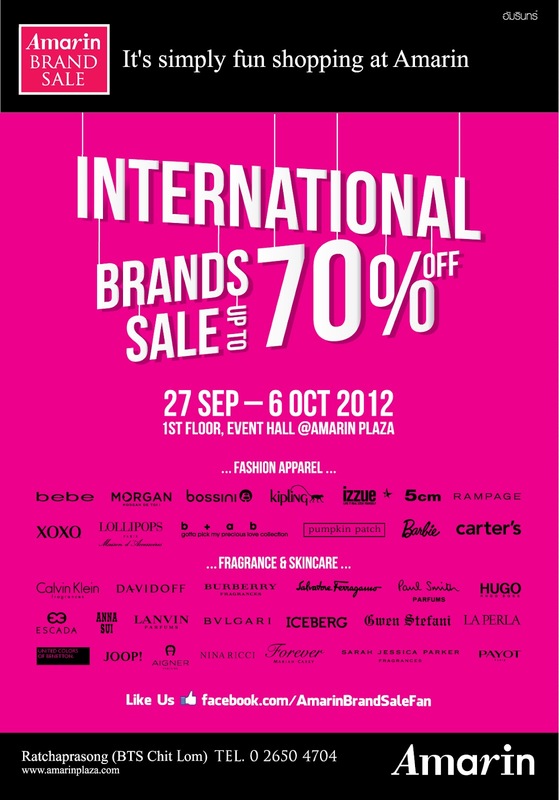 Amarin Plaza is having a sale of upto 70% discount at the "Amarin International Brands Sale". Products featured are fashion clothing and accessories, cosmetics and perfumes, and also children's clothing and toys from over 30 leading brands including Bebe, Morgan, Bossini, Kipling, Calvin Klein, Davidoff, Burberry, Salvatore Ferragamo, Paul Smith, Hugo Boss, Escada, Anna Sui, Bvlgari, Payot and Barbie. 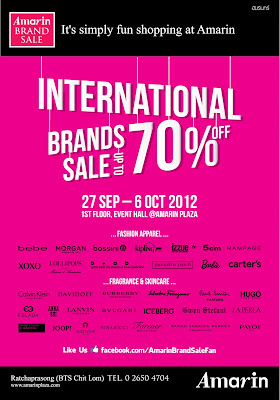 The event runs from September 27th to October 6th, 2012 at the Event Hall on the 1st floor of Amarin Plaza.